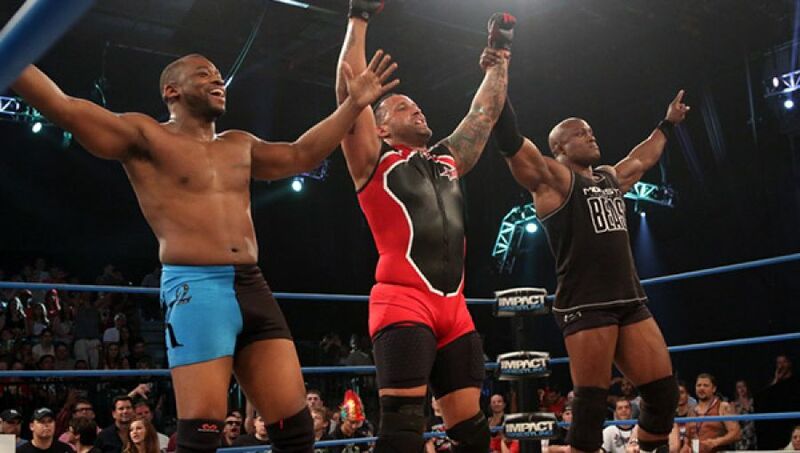 27/3/14 Impact Wrestling Reactions – Eric Young: TNA World Champion? Hey guys, Armbar Express heading your way. I’m Tom Robinson. This week’s edition of TNA Impact Wrestling saw interesting developments in the world title picture. It was announced by MVP that there would be a TNA World Championship would be defended by Magnus against not one wrestler, not two… but THREE! 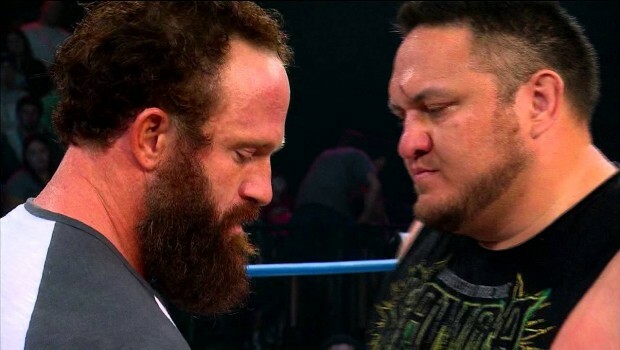 We got Magnus defending against The Samoan Submission Machine Samoa Joe, The Monster Abyss and last but not least… “Showtime” Eric Young! Now one would question whether Eric Young’s character can allow him to elevate up the ranks and into the World Title picture. I think this promo can answer that question clearly. It’s time…. Now we all know Eric Young is a very entertaining guy, but this is one of the rare times where Eric is cutting a dead serious promo and he can deliver. He’s as serious as he’s entertaining and that’s saying an awful lot! But is he seriously ready to step it into the big leagues? In my opinion with his storyline with Abyss, he’s a lot more of a deal now and I like how this has lifted him up the ranks, especially considering Abyss’ affiliation with Magnus. Now there’s no guarantee that Eric will capture the title, but keep in mind Chris Sabin’s World Title reign. Out of the blue Sabin went from X-Division Champion to World Champion. It was great to see at the time, but he went absolutely nowhere after he lost. He found himself right back where he began and I don’t want that to happen to Eric. I think Eric should capture the belt, don’t get me wrong, but not right now. I think Eric needs a proper program with the champion now before he finally captures the belt at like Slammiversary or something. What do you guys think? Who should win the World Title match next week? Should the reign of Magnus continue? Should Samoa Joe recapture the title he once had? Should the monster reclaim the holy grail? Or is time for Showtime?